2011 was a big year for digital entertainment. It brought us expanded content options for the Apple TV, the tenth anniversary of the iPod, iTunes Match, AirPlay to the masses, and more. 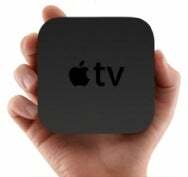 The second-generation Apple TV may have been released in 2010, but it was 2011 when the diminutive set-top streaming device really expanded beyond its borders. Sure, it shipped with Netflix streaming built in, but in March Apple added support for streaming sports subscription content from MLB.TV and NBA League Pass (in addition to supporting Dolby Digital 5.1 surround sound for Netflix streaming). And in October, the Apple TV got another major software boost, this time gaining National Hockey League subscription support, as well as a Wall Street Journal Live section, and AirPlay Mirroring for the iPhone 4S and iPad 2. Rumors also swirled mid-year about Apple buying up streaming video service Hulu, which would have added another facet to Apple’s video-delivery business. But like so many rumors, this one has not come to pass. At the same time, Roku delivered the latest editions of its portable streaming devices, with the Roku 2 lineup—all of which cost the same or less than the Apple TV. The new Roku models look strikingly similar to the Apple TV (the sincerest form of flattery, no?) and add support for games and a Bluetooth remote control. In October, the company added a somewhat stripped-down LT model for $50, giving users even more options. For those interested in how the Roku models stack up against the Apple, check out “Apple TV vs. Roku: Which is right for you?”. It seems that the living room is no longer a hobby when it comes to delivering digital media. In addition to the Apple TVs and Rokus of the world, there are many TVs, Blu-ray players, and game consoles with streaming video and music services built into them. Yet the content remains the elusive piece of the puzzle, as media companies continue to avoid fully embracing the New World Order. On October 23, 2001, Apple lifted the curtain on the first iPod, a sleek white box with 5GB of storage and a FireWire connection. 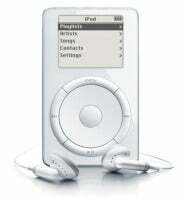 By the iPod’s tenth anniversary this past October, Apple had sold more than 300 million of the devices. The story of how the iPod came to be is a fascinating one, and its impact on Apple and the world around us has been unmistakable. Speaking of the iPod, for the last several years, the fall has been met with an Apple music-related event that brought us new iPods, new versions of iTunes, and updates to the iTunes Store. This year, Apple held an event as usual, but it was dedicated not to Apple’s portable music (and often video) players, but rather to the iPhone 4S and iOS 5. Apple did update some of its iPods at the October event, but in the words of my colleague Chris Breen, it’s clear that the company is not putting a great deal more effort into them. The changes for 2011? Apple finally introduced a white iPod touch model, while dropping the price of the 8GB touch from $229 to $199. The company also issued a software update for the iPod nano that added larger icons and 16 new clock faces (great for those who like to use their nano as a watch), and cut the prices by $20 and $30 for the 8GB and 16GB models, respectively. Although a white iPod touch, some software tweaks, and a few price drops are nice to see, this is the first year in a long time when the iPod has taken a distintive back seat to the iPhone and iPad in the fall. (But at least Apple didn’t kill the iPod classic yet.) At the same time, Apple’s decreased focus on the iPod isn’t all that surprising. While Apple still has a nearly three-quarters share of the music player market, iPod sales have been steadily declining over the past few years, making them less of a priority for Apple. If you’re in the market for an iPod, be sure to check out our iPod buying guide for more info. Perhaps one of most anticipated additions to the whole iTunes/iCloud/iTunes in the Cloud mixture was iTunes Match. Announced at June’s Worldwide Developers Conference, the $25-a-year iTunes Match service does two things: match and upload your music library to a central server, and let you download (or stream, if you’re on a computer) those items to devices you own. The service works by scanning your library and matching as many tracks as it can with songs from iTunes’s 20-million-song catalog. If iTunes can’t find a match, it will upload those unmatched tracks to its central server so that you can stream or download them to other devices associated with your Apple ID (up to a total of 25,000 non-purchased tracks, with little control on the user’s end). As such, if you have a poorly-encoded (or Digital Rights Management-encumbered) copy of a song you own or have authorization for—and that song exists in iTunes’s catalog—you can re-download those tracks as 256-kbps DRM-free AAC files. If you have more than 25,000 tracks not originally purchased with your Apple ID, you’re currently unable to sign up for the service without employing a trick or two. iTunes Match was supposed to launch in the United States by the end of October, but the date slipped to November 14 with the release of iTunes 10.5.1. Apple did, however, handily make its self-imposed deadline of extending iTunes Match internationally by the end of 2011. Even without paying the annual fee, Apple’s iTunes in the Cloud lets you re-download any music, apps, ebooks, and TV shows you’ve purchased from Apple in the past (as long as they’re still available in the iTunes Store, App Store, or iBookstore, that is). It was back in November 2010 when Apple officially rolled out AirPlay—the evolution of its AirTunes technology—for streaming audio and video from iTunes and iOS devices to an AirPort Express base station or to a second-gen Apple TV. But it wasn’t until 2011 that third-party devices started getting in on the party, with a number of vendors announcing and then releasing AirPlay-compatible audio devices. And if you’re more of a DIY type, you can build your own AirPlay audio system with some of the products you may already have. For more info, take a look at our slideshow of 12 AirPlay-enabled speakers on the market now. Although the rumors of an Apple music subscription service never materialized, there was plenty of exciting news in that arena during the past year. Perhaps the biggest happening was the arrival of Spotify in the United States. The popular-in-Europe music subscription service finally hit U.S. shores in July as an invitation-only proposition and then opened up to all in September. Spotify offers three flavors—free (you can listen to a limited number of hours of music per month at 160kbps); Unlimited ($5 a month with unlimited listening at 160kbps); and Premium ($10 a month with unlimited listening, 320-kbps tracks where available, and support for downloads and mobile listening). Spotify has its own OS X desktop app, as well as well as an iOS app. The catch, however, is that it requires a Facebook account to sign up. Slacker Radio, previously in the realm of Pandora with its programmed content, launched a $10-a-month on-demand tier called Slacker Premium Radio in May. It gives subscribers on-demand access to Slacker’s library of more than 8 million songs. Users can listen on the Web, or using an iPhone, iPod touch, iPad, or Android or BlackBerry device. Rdio also began offering a free version of its service in October. And the traditionally subscription-only Mog added a free version of its on-demand streaming service in 2011 as well. Like Spotify, however, a Facebook account is required.